Health Care Whistleblower Lawsuit - Oberheiden, P.C. Oberheiden, P.C. is a team of former Department of Justice health care fraud prosecutors. Our combined experience of health care fraud cases exceeds many hundreds of civil and criminal prosecutions. Our team consists of high ranking former Medicare prosecutors, former Department of Justice trial attorneys, former Special Assistant United States Attorneys (SAUSA), and attorneys that have spent their careers in federal courtrooms. Lawyers and clients alike contact Oberheiden, P.C. to assist with and to jointly pursue whistleblower cases in the health care and environmental industry. The term “whistleblower lawsuit” describes the reporting of fraud by an individual against the people or the company committing the fraud. Whistleblower lawsuits are one of the most misunderstood types of federal cases. 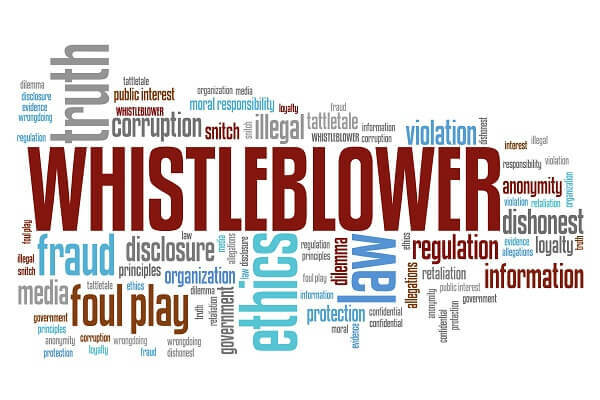 What is commonly referred to as a “whistleblower lawsuit” is in legal parlance a qui tam lawsuit, which is brought by a private citizen but is filed in the name of the government. In essence, the qui tam lawsuit seeks to recover money for the government that was fraudulently taken from it. However, the private citizen behind the suit, called the relator, is entitled to a share or percentage of the recovery for being the person to bring the fraud to the government’s attention and for taking the time, effort, and money to prosecute the lawsuit. While there are various federal laws that allow qui tam actions, most commonly they are brought under the False Claims Act, which accuses a company or individual of falsely charging the government for items or services that weren’t delivered or that should have been provided at a lower cost. False Claims Act cases are frequently brought against health care providers (doctors, home health care agencies, hospitals, or other treatment facilities) or against government contractors, including defense contractors. Medical fraud is omnipresent. An abundance of statistics demonstrates that each year state and federal government programs lose billions of dollars due to fraudulent billing practices. Nonetheless, when it comes to qui tam or whistleblower cases, not every reporting of fraud equals a potential for reward. Ironically, because fraud is so prevalent in the health care industry, the environmental industry, and the educational industry, prosecutors at the U.S. Attorney’s Office deciding which case to pursue and which fraud report to ignore have no choice but to follow rigid criteria. Prosecutors cannot pursue every case. If you just had a bad experience with your doctor or you got overbilled from your lab, you still don’t have a case. If you threatened to bring a case or threatened legal action or are trying to settle a matter with a medical provider, you don’t have a whistleblower case anymore. Many attorneys make the mistake of treating a qui tam lawsuit like any other federal complaint, and simply draft a complaint that tells their client’s story and the fraud occurrence in simple and somewhat cryptic terms. They then technically comply with the requirement that they inform the government of the claim by sending a copy of the complaint with a cover letter. This type of action, while perfectly acceptable, is an example of a qui tam or whistleblower complaint that the government will view as weak and send to the shredder. However, that same complaint can be converted into a strong one with careful screening and extra work at the outset to present the strongest argument and claims possible to show that the government has been defrauded, and that other injuries or damages are also taking place and are widespread. What Makes a Whistleblower Case Strong? Follow Formalities. Any whistleblower complaint starts with the standard identification of the parties, a statement of the court’s jurisdiction and venue, and a brief introduction of the nature of the case, and ends as other federal complaints do, by stating the elements of each cause of action – the False Claims Act, if applicable, as well as any other state or federal claims the relator may wish to join with their main claim, and a prayer for relief which will seek reimbursement of the money fraudulently obtained as well as fines, penalties, interest, costs, and attorneys’ fees. Statement of Facts. In between these two sections will be the statement of facts. In a qui tam lawsuit, it is worth taking the extra time to make this statement of facts as strong and as detailed as possible. For example, a strong qui tam lawsuit alleging health care fraud will take the time to detail what the False Claims Act is and what the Medicare and Medicaid program are. The complaint should then go into some level of detail about the exact type of business in which the defendant is involved, how they work with and charge the government, and how the fraud was committed. It is important to remember that the person reading the complaint, whether the judge or the Assistant U.S. Attorney, is much less familiar with the business in which the defendant is involved than you are, so it is rarely a mistake to take the level of detail down to as simple a level as possible so that the reader can fully understand the fraud that has been committed. For example, if your complaint alleges fraud in the hospice business, take the time to explain hospice certification and re-certification, as well as what exactly a doctor is certifying about the patient’s medical condition by certifying or re-certifying the patient. Then, lay out the exact method of the fraud – were the patients not eligible for hospice care, were the doctors not seeing the patients, were the doctors adding on medical equipment that wasn’t necessary, or all of the above? Finally, the statement of facts should set out the amount by which the government has been defrauded and whether anyone has been or could be hurt by the fraud. For example, is a government contractor skimping on safety standards that could result in harm to the public or members of the military using the equipment in question? Are doctors failing to provide care to patients, causing injury or even death? Open a Dialogue with the Government. Once the complaint is drafted, you will need to put together a package of information for the Assistant U.S. Attorney, who is given at least sixty days to decide whether to take over the prosecution of the complaint. In reality, most government prosecutors seek and are given multiple extensions of time to review the complaint and supporting documents. In addition to the copy of the complaint, you should provide any evidence you have that shows the fraud and an affidavit explaining who you are and how you are an “original source” of the information – in other words, how you became aware of the fraud you are now reporting. Additionally, the package of information should include a letter that provides even more details about the method through which the fraud was committed and the amount of money by which the government was defrauded, including an explanation of how you calculated these amounts. By doing all of these things, you will have filed a strong qui tam lawsuit that increases your chances of getting government assistance in prosecuting the case and ultimately in achieving a settlement or a win at trial. What Are the 3 Criteria that Decide If the Government Takes Your Case? The number one reason a prosecutor will throw your whistleblower case in the garbage bin and decline to assist your investigation is that the complaint lacks any evidence. In ordinary cases, plaintiffs are not required or expected to substantiate their claims. That’s left for the discovery process. In whistleblower cases, however, it is very unlikely that the case will get the necessary attention if all accusations are mere allegations. The Oberheiden, P.C. Approach: When Oberheiden, P.C. is approached by attorneys or clients to assist with a potential qui tam relator case, we carefully screen the facts and the allegations. How do you know that the fraud occurred? Do you have written documents? What was your role at the company? Do you have admission statements? Are there secret recordings? Instead of waiting for discovery after the case has been filed, we address discovery and evidentiary matters upfront. The government is selective. While a $ 1,000 damage due to fraud can mean a lot to you, prosecutors receiving daily whistleblower filings are simply unable to spend federal resources to investigate every instance of alleged fraud. They are looking for big fraud matters and they are paying instant attention to the practical question: how can the relator prove the amount of fraud? If the sole information is an isolated event of billing fraud or a single (affirmatively known) misconduct, the case does not make it past the prosecutor. If the whistleblower complaint has detailed accounting and attachments that substantiate and detail each occurrence of fraud, you will get the government’s attention. The Oberheiden, P.C. Approach: The key is to show compelling evidence of systematic and deliberate fraud, organizational fraud, fraud that is not just an accidental mistake, but a company-wide occurrence that amounts to millions of dollars. In fact, many of the Oberheiden, P.C. lawyers that previously handled civil affirmative actions and whistleblower cases at the Department of Justice were instructed to only consider cases that met a minimum threshold damage amount, which varies among the 95 U.S. Attorney’s Offices nationwide. Finally, problematic are the whistleblower complaints that list dozens of allegedly responsible individuals and corporate actors. Unless it is a case of national and political dimension, it is unlikely that the government will investigate a plethora of people and companies. More compelling is the presentation of a company (or two) and one or two individuals allegedly orchestrating the fraud. The Oberheiden, P.C. Approach: We focus on what we can prove, we focus on people and companies with information, and we filter mandatory defendants from unnecessary ones. If you are or plan to be a whistleblower and believe that you have a qui tam action under the False Claims Act, you need a lawyer with experience in these types of cases and the knowledge to make your complaint as strong and as attractive to the federal government as possible. At Oberheiden, P.C., we have filed qui tam and False Claims Act cases and have defended such cases in federal courts across the country. However, it is urgent and vital that you are the first person to reveal the wrongdoing or fraud to the federal government in order to ensure and maintain your right to recover a portion of the proceeds from the lawsuit when it is settled or won at trial. Our lawyers are available to discuss your potential lawsuit and how to prepare it for filing seven days a week, including weekends. All initial consultations are free and completely confidential. Oberheiden, P.C. has gained a reputation as a trusted advisor for lawyers and clients alike contemplating a whistleblower action. This trust is based on our extensive DOJ experience and our client commitment. Many of our attorneys come from distinguished and senior positions within the Department of Justice and local U.S. Attorney’s Offices. Former Assistant United States Attorneys, former Medicare prosecutors, former chief coordinators of FBI, OIG, and DEA health care fraud prosecutions have the caliber to understand the difference between a good, a decent, and a wasted qui tam. If we like your case, we’ll bring it. If we bring it, you’ll get the government’s attention. We will sit down with you, at no cost, and explore your case. We will review and assess the available information and analyze the merits of your case with trained eyes of former United States prosecutors. The former federal prosecutors and attorneys of Oberheiden, P.C. are available to discuss your case. Contact us today and let’s analyze your case together.